What I am NOT suggesting is that we pray for special revelation from God, asking him to disclose hidden meanings from the past. . . . 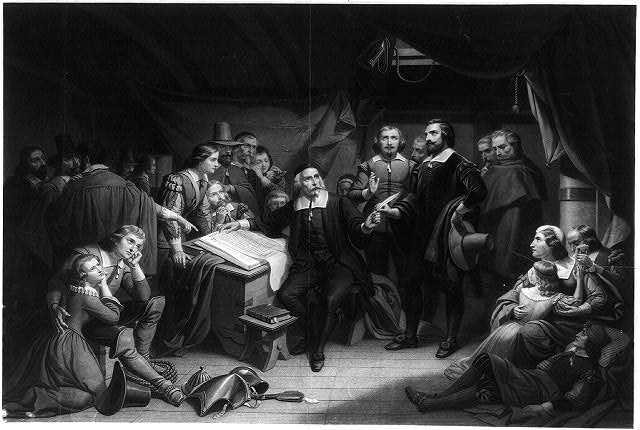 I find no promise in scripture that the Holy Spirit will reveal American history to us. The Bible is clear, on the other hand, that the Spirit is given in order to convict us of “sin, and righteousness, and judgment” (John 16:8). So when I propose that we wrestle with the past until the Lord blesses us, I have in mind studying history in such a way that it ultimately exposes our hearts. Our highest goal is not to understand the past for its own sake, nor to learn lessons from the past that help us get what we want in the present. Rather, our ultimate goal is to see both God and ourselves more clearly, to the glory of God and for our sanctification. 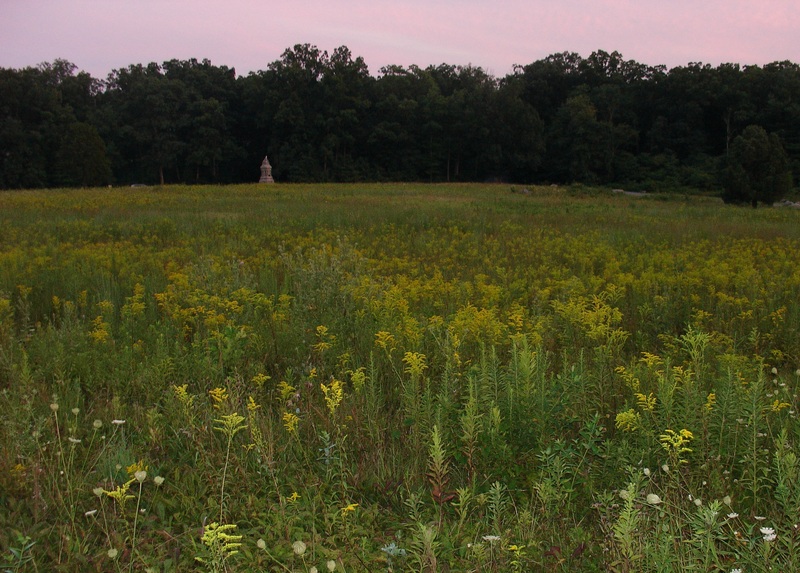 Looking west from Cemetery Ridge at the field crossed by George Pickett’s Division on July 3rd, 1863. His men formed for the attack in the line of trees in the distance. 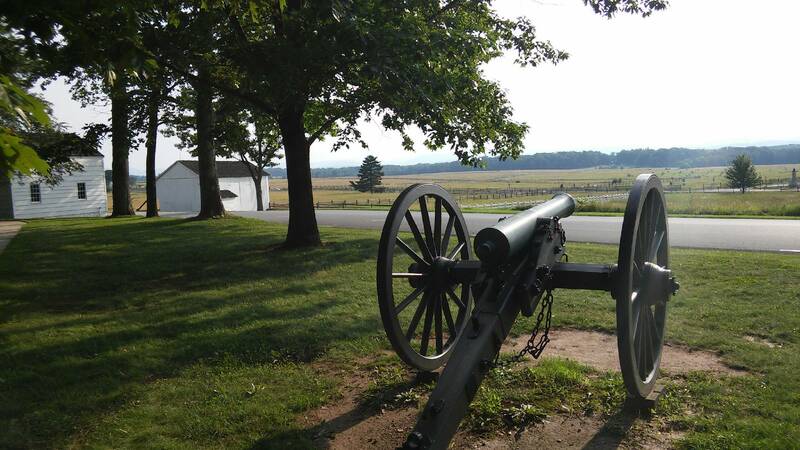 This past Thursday morning I hopped in my Kia Rio and made the nearly seven-hundred-mile trek from Wheaton to the site of the largest battle ever fought in the western hemisphere. Along the way I prepared mentally by listening to books on tape: James McPherson’s On Hallowed Ground–a brief guide to the battlefield–and the first half of (what else?) Michael Shaara’s The Killer Angels. From Friday through Sunday morning I spent nearly sixteen hours roaming the six thousand acres of Gettysburg National Military Park, and I even managed to squeeze in a quick half-day tour of Harpers Ferry, West Virginia (fifty-four miles to the south), the site of John Brown’s infamous 1859 raid on the federal arsenal there. 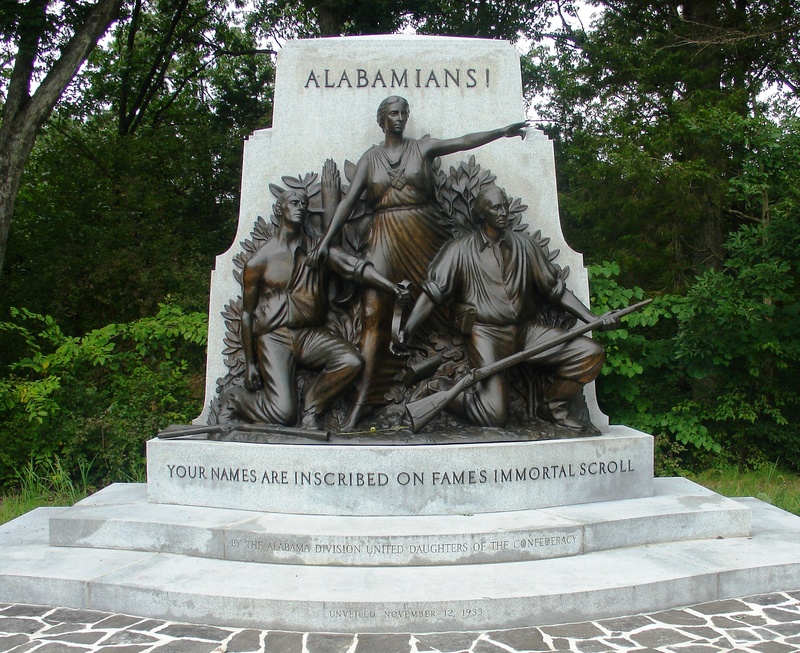 After hiking on the battlefield a final time early Sunday morning, I drove the seven hundred miles back home while listening to the second half of The Killer Angels. Joshua Lawrence Chamberlain received the Confederate surrender at Appomattox shortly before I pulled in the driveway. It was the ultimate history nerd road trip. 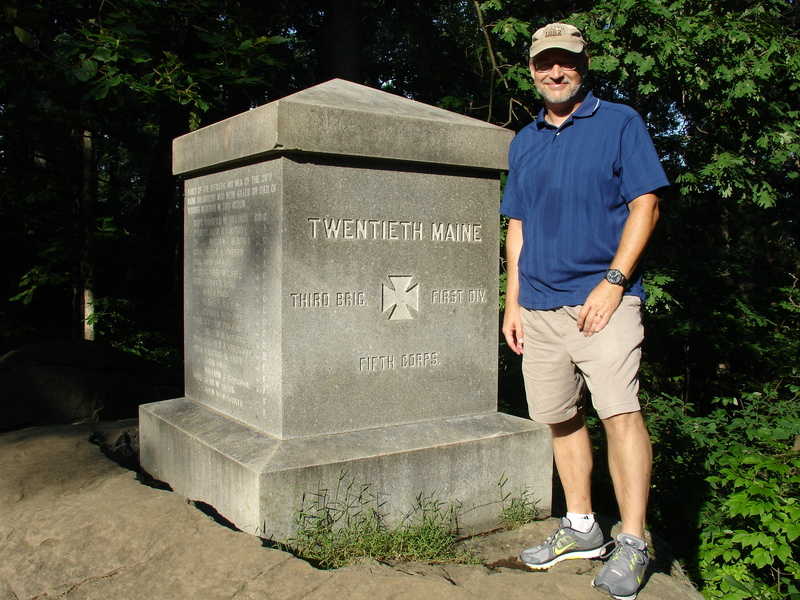 Yours truly beside the memorial to the 20th Maine Inf. on the southern slope of Little Round Top. Let’s start with the culinary landscape. After extensive reconnaissance, I have three discoveries to report: first, the “General Pickett Buffet,” much like the general’s charge in 1863, was ambitious but unsatisfying. Second, the Avenue Restaurant, a locally owned diner a couple of blocks to the north, serves a marvelous breakfast. And finally, proximity to the battlefield seems to have had no appreciable effect on the food at McDonald’s. Next, the battlefield itself: It was amazing, and I would recommend it to anyone at all interested in American history. 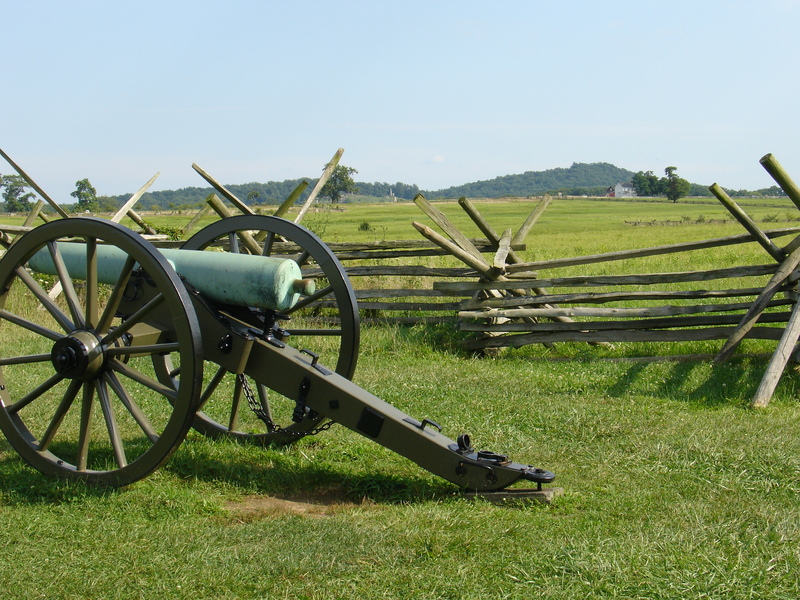 The battlefield is under the auspices of the U. S. National Park Service, which has done a fabulous job of preserving as much of the original battlefield as possible and of interpreting all that transpired there. I’ve read countless books on the battle over the years, but there is simply no substitute for being there. If you can go, and if your health allows for it, get out and walk. 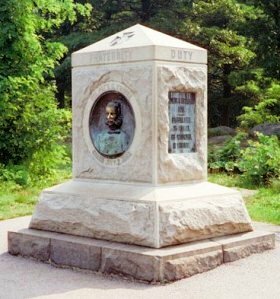 I hiked a half-dozen times along the crest of Cemetery Ridge, stood in the woods along Seminary Ridge where John Bell Hood’s Texans formed to attack on July 2nd, clambered on the rocks at Devil’s Den (which Hood described as the worst ground he had ever seen), measured the length of line defended by the Twentieth Maine Infantry at Little Round Top, followed the route of Pickett’s Charge (and back), and stood where Robert E. Lee rode to rally his men after that charge was broken. I am not a military historian, and to be perfectly honest, I have never been able to muster interest in academic disputes about strategy and tactics. And yet walking the battlefield helped me enormously in understanding what both armies were trying to accomplish. 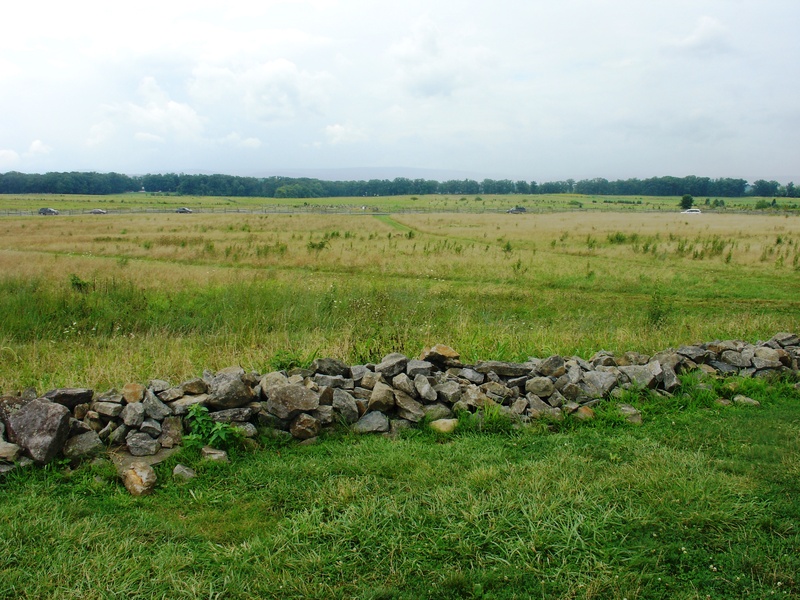 The ground mattered greatly in Civil War battles, and one of the most striking things about Gettysburg is how varied the ground could be. 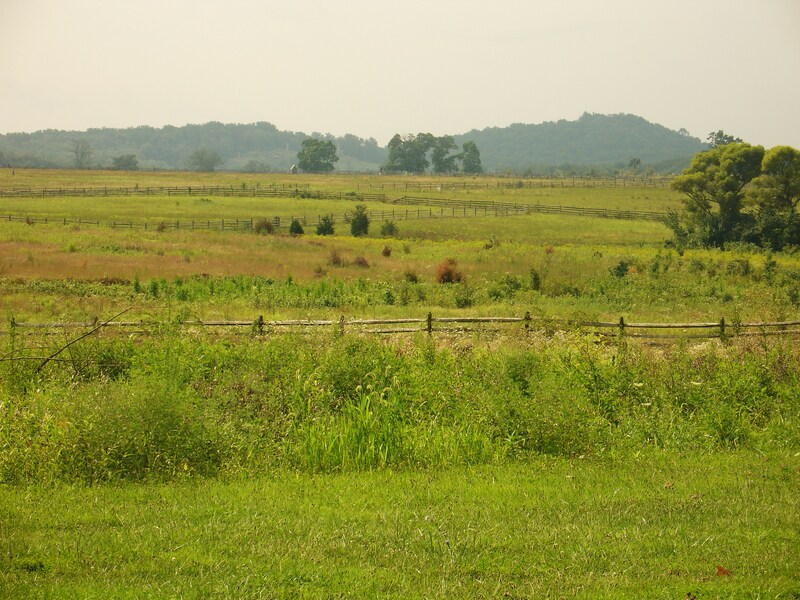 Much of the setting is bucolic farmland–gently undulating fields dotted with clapboard barns and split-rail fences. A part of the setting is urban; Confederate General A. P. Hill’s corps drove Federal forces through the town itself on the first day, and his sharpshooters took up positions on Baltimore St. from which to harass the entrenching Yankees near the cemetery on the outskirts of town. Some of the fiercest fighting, however, unfolded on a landscape straight out of a science fiction movie. 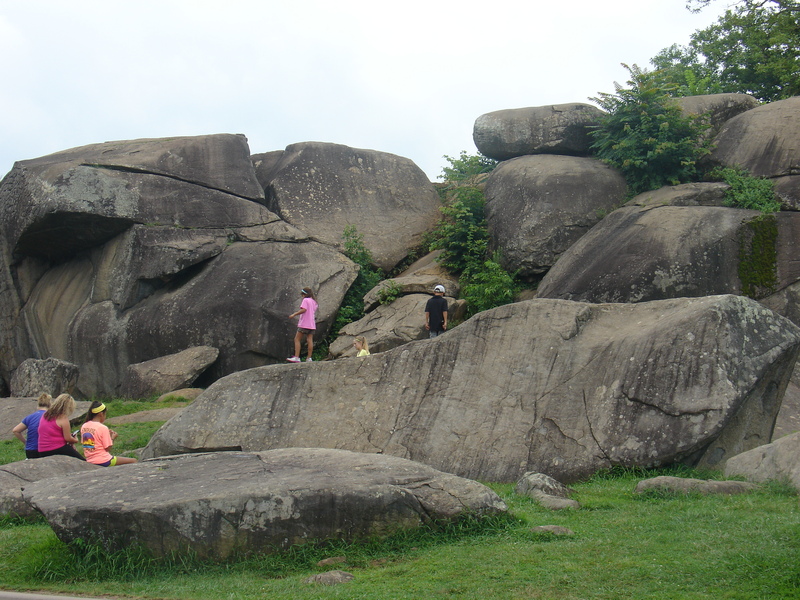 I had read about “Devil’s Den,” but I had never fully appreciated how bizarre it really is. I don’t know about you, but when I see Civil War battles in my mind’s eye, I never picture soldiers fighting hand-to-hand atop boulders the size of garbage trucks. Young visitors to Devil’s Den. The benefit of visiting the battlefield goes far beyond a better understanding of how topography shaped the conflict, and that’s a good thing. 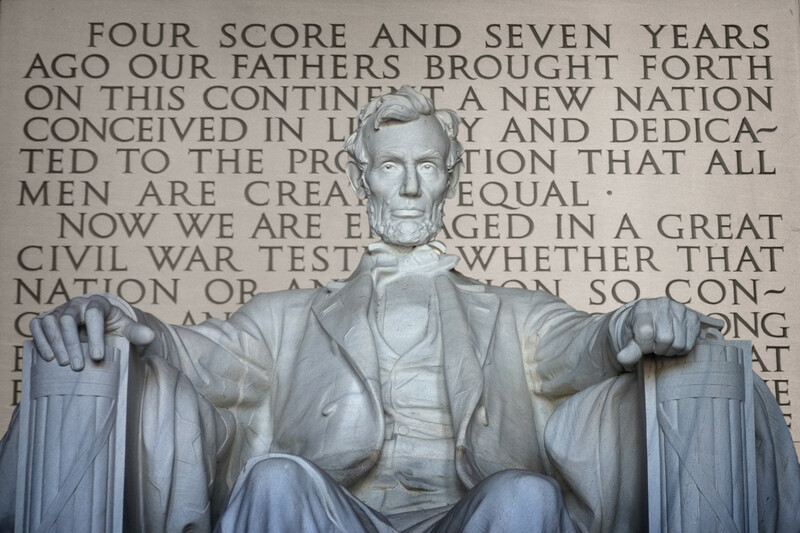 Setting aside the occasional sweaty, middle-aged re-enactor, I suspect that few of the park’s two million visitors each year are primarily interested in such technical questions. Most probably just want to gain a sense of what the common soldiers who fought there experienced. I certainly was hoping for that, among other things. There is an unbridgeable chasm that separates them from us, of course. I know that. We can never fully grasp the horrors that they witnessed and endured. (I feel that less as a limitation than as a mercy–thank you, Father.) And yet, I do believe that visiting places such as this enlivens the imagination, and imagination is an indispensable aid to historical understanding. In walking the land where these armies clashed, the landscape somehow connects us to those whose footsteps we follow. The result is a shadowy glimpse of long ago, and that, to my mind, is a treasure. And now to the less-than-sublime–the town itself: There are numerous circa-1863 structures still standing that help us to envision what the town looked like as Union and Confederate forces converged on it 150 years ago. But much of the fighting on the 2nd and 3rd of July took place outside of town, and in the intervening century and a half there was all kinds of commercial development in that vicinity, and ever since the national park was established in the late-nineteenth century, entrepreneurs have sought to make money from tourism. Thus advocates of historical preservation have fought a battle of their own, heroically defending the ground from creeping commercialism. Beyond this, there were commemorative coffee cups, travel mugs, flasks, beer steins, and wineglasses; refrigerator magnets, lapel pins, zipper pulls, ash trays, plates, jig-saw puzzles, key chains, iron-on patches, tote bags, windsocks, lap robes, piggy banks, paper weights, coasters, golf balls, Christmas tree ornaments, pens, pencils, pocketknives, cigarette lighters, thimbles, mouse pads, and playing cards. 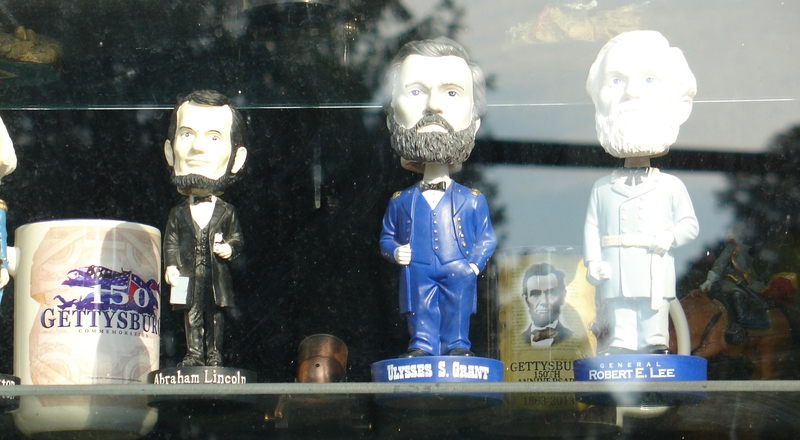 None of these much tempted me, but if I had had the money, I wouldn’t have minded bringing home the Pickett’s Charge snow globe, the shot glass with the entire text of the Gettysburg Address inscribed on it, or (my favorite) the Robert E. Lee bobble-head doll.